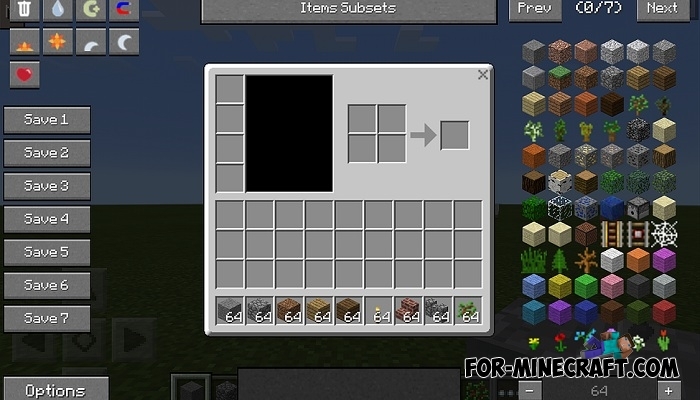 If you have some difficulty getting items in any mode (basically, this mod is used in the survival mode and perfectly compatible with it) then use the Not Enough Items mod. 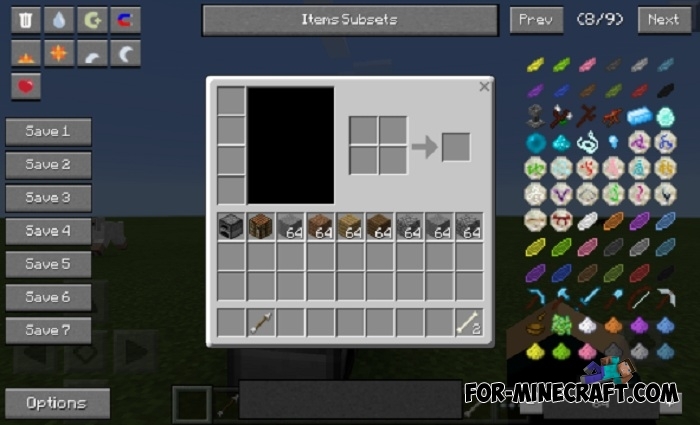 This is a very popular and downloadable mod for Minecraft Java, with which each player can change certain game settings and add any items to the inventory. Thanks to Real Games HD, this modification is ported to MCPE. 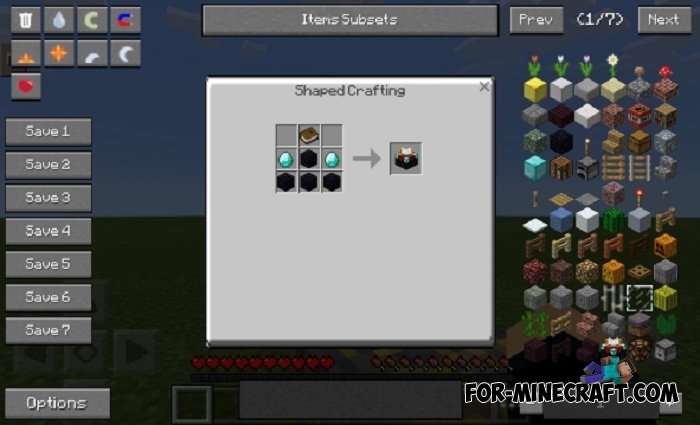 This is much more convenient than creative, because the NEI mod allows you to play survival with all the objects. Tap on the top button in the right corner of the screen to open the interface. There you will see a convenient toolbar and your inventory. Select the desired item on the right side to get it (it is possible to specify the number of pieces). Tap on the icons on the right to change the time of day, there are four options available. You can always quickly remove an unnecessary object, just transfer it to the trash bin on top. If you have little health, then click on the heart to completely restore it. Possibility to save your inventory. If you want to do this, tap on one of the buttons (save 1-7) which will completely save all items of your inventory and you can instantly receive the saved items at any time. 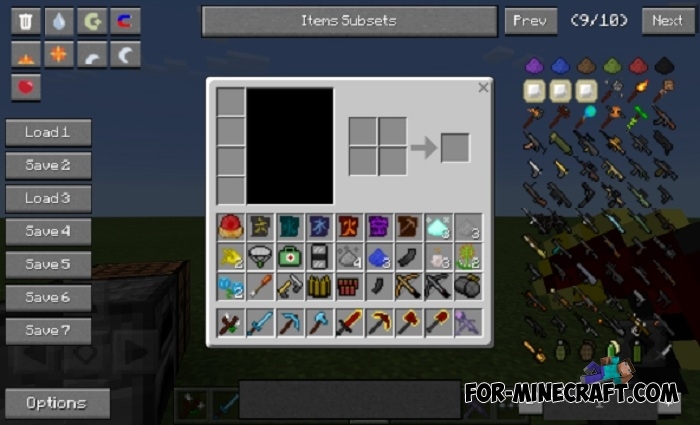 The Not Enough Items mod is compatible with other Minecraft PE mods. For example, it works fine with DesnoGuns (click). Ability to change the time of day. 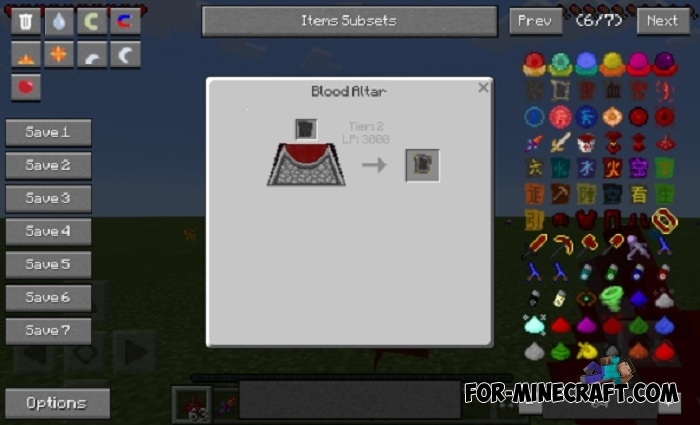 As mentioned above, the NEI mod displays items taken from other modifications and also allows you to see crafting recipes. If you are looking for an excellent items cheat for Minecraft Pocket Edition, then be sure to download NEI. Import the texture pack and then the mod (.js).